Original Araya bronze-tone rims with 6200 series Shimano 600 front hub and polished 4500 series 10 speed rear hub. 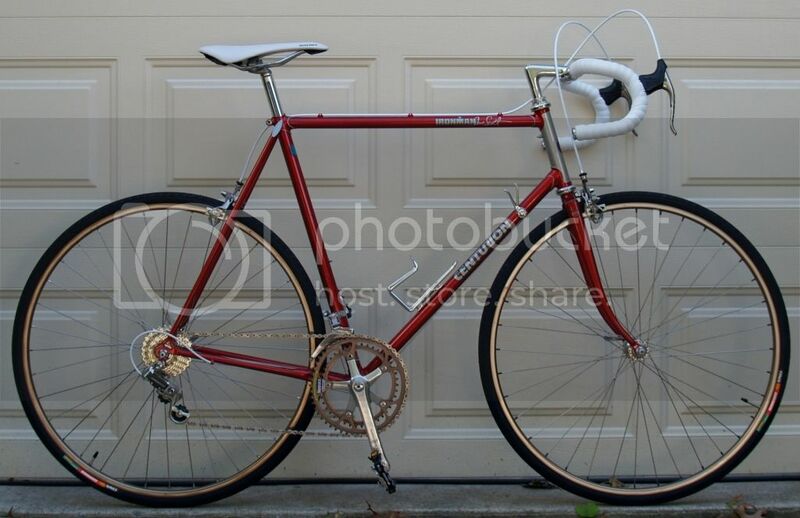 Yep, a 10 double run through mid-80's Shimano 600 friction-shifted goodness! Those are Vittoria Rando 28's- a very plush ride. 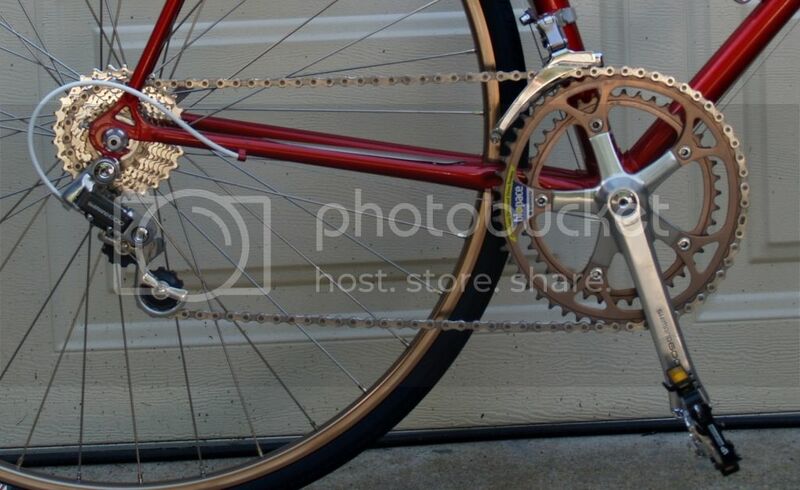 Original BioPace rings work fine with the 10 speed chain. Shifting is very smooth! 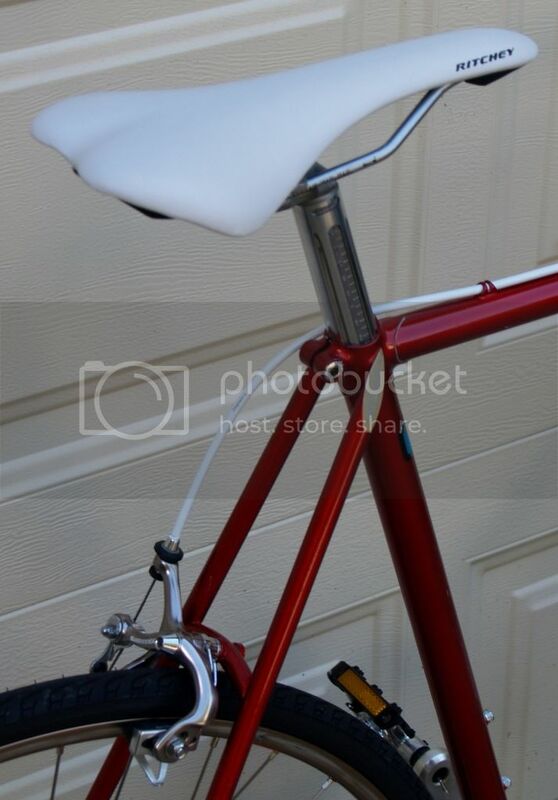 Ritchey Streem saddle cossets the behindside. I thought I'd have to replace the original brake pads with Kool Stops, but these work very well. 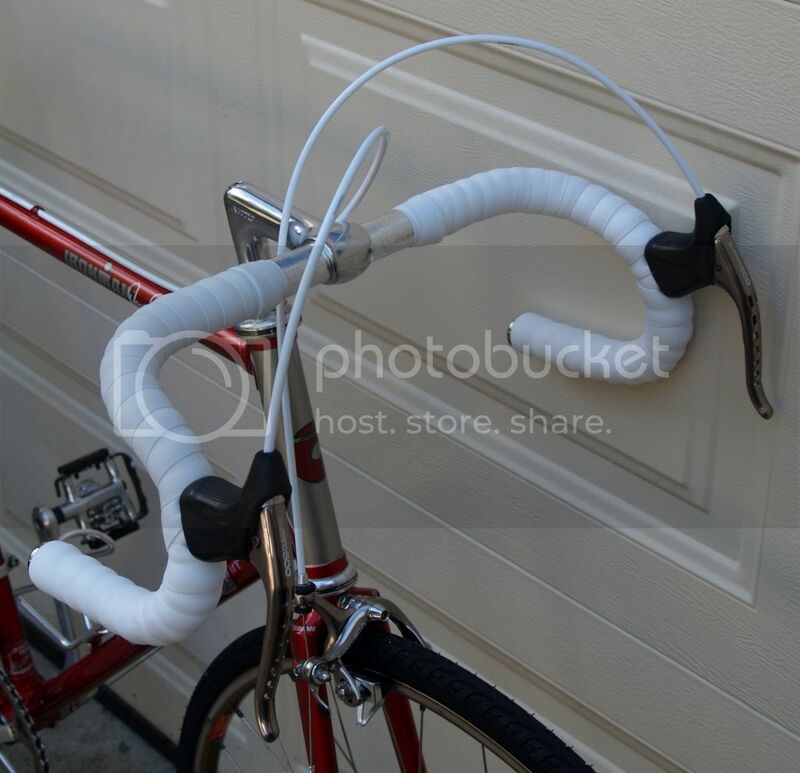 Brake levers are like new, but as one would expect, the hoods are starting to separate. New ones are on their way. White Jagwire housing, Shimano stainless cables & Nashbar gel wrap. 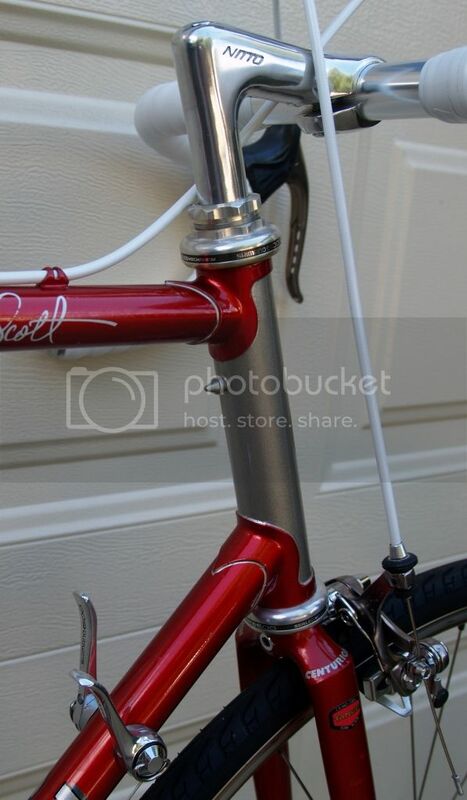 Don't you wish all bikes had lugs outlined by hand and nice, shiny shift levers?